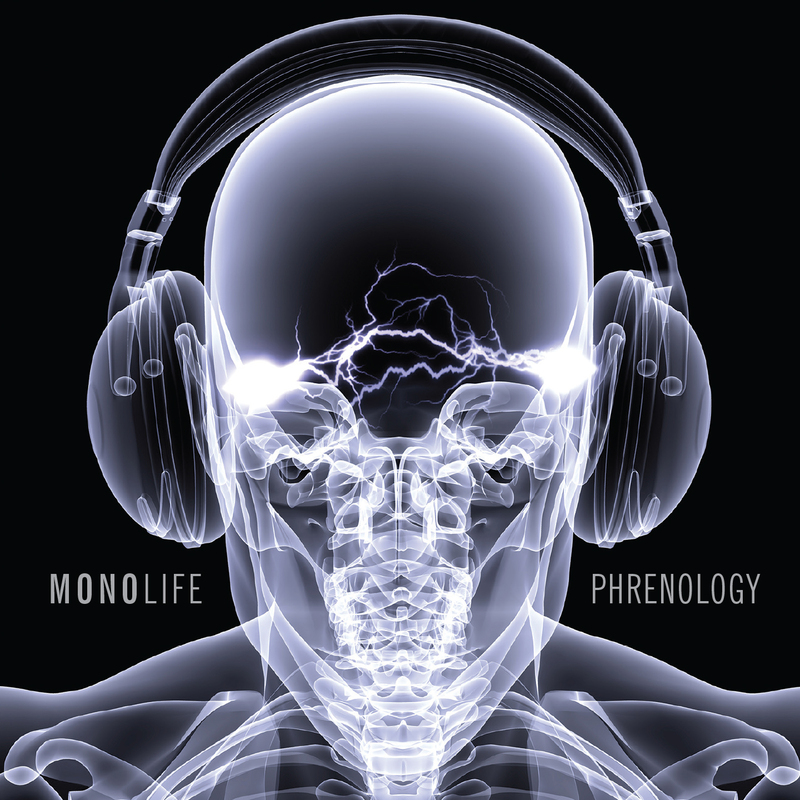 As a debut album Phrenology exudes an inspiring attention to detail, taking the listener on track-by-track journey through the melodic soundscape of electronica. The Mono Sound – With a throbbing electronic pop vibe the track gives off an almost playful, out of this world feel, reminiscent of early Kraftwerk productions. The track gathers pace accompanied by a recurring faded vocal, moving the track forward with every pace change, perfectly suiting the innovative nature of the track. Black/Return – An intriguing opening suits the album’s warped space theme, quickly shifting to some heavier, energetic industrial sound that gives the track its spine to which quirky electronica attaches itself as it progresses to a deeper bassline. Engage – A strong synth opening, almost characteristic of early 90s Ibiza trance, transforms into intense electronica with an inspiring instrumental accompaniment, taking the track on another fast paced, outer-space journey. Dark Star Theory – Demeaning technological vocals create a sense of urgency which builds with a strong fading synth, transforming the track into an intensely warped and acidic voyage. Falcons – Charming and playful electronica reignites the electronic pop feel of the album, again hinting at similarities to Kraftwerk. The track rises and falls with its characteristic giddy rhythm, giving it an almost child-like feel whilst breaking up the album’s somewhat intimidating electronica. Afro Dub – Opening with a strong recurring vocal, bursts of heavy bass support an increasingly pacey synth dub, paving the way for a sharp echoing synth to build a peak from which the original rhythm drops with an abundance of energy. Afro Dub is a track which clearly justifies its name. Broadsword – Opening with a foreboding, galactic sound, the track suddenly cuts to present a penetrating series of beats which follow on a rhythmic road littered with clips of heavy bass and dark synth samples. Certainly the darkest and most industrial track of the album, Broadsword is a hard-line track befitting of a place in any techno set. Oh Yeah Oh Yeah – With synth echoing to an accompaniment of inspiring vocals, a strong bass line takes lead place, finding itself an efficient match with a prolonged and wavering electronic horn peppered with a recurring vocal, returning the album to its electronic, galactic character. Remediate – A subdued opening of calming electronica with a continuous acidic rhythm builds into a clean, masterful track of soothing, scientific sound epitomising the album’s character. Love and Death – In keeping to its name, the track takes on a church organ-inspired sound of dread and unease, a sound frequented by impulses of acidic synth, suggesting the warped journey of the album is near to an end. The Monophonic Spree – Opening with a similar sound to that which Love and Death ended, the track progresses through a melodic library of quick electronica and bass, the two combining to create a sense of urgency, again evoking the feeling of time-travel. Soft instrumentals complement the generally upbeat rhythm of the track, which meets its end to prolonged synths which distinguish the melodic soundscape of the album.